342 pages | 44 B/W Illus. The 1920s and 1930s saw the rise of the city symphony, an experimental film form that presented the city as protagonist instead of mere decor. Combining experimental, documentary, and narrative practices, these films were marked by a high level of abstraction reminiscent of high-modernist experiments in painting and photography. Moreover, interwar city symphonies presented a highly fragmented, oftentimes kaleidoscopic sense of modern life, and they organized their urban-industrial images through rhythmic and associative montage that evoke musical structures. In this comprehensive volume, contributors consider the full 80 film corpus, from Manhatta and Berlin: Die Sinfonie der Grosstadt to lesser-known cinematic explorations. Steven Jacobs is an art historian who specializes in the relation between film and the visual arts. His publications include The Wrong House: The Architecture of Alfred Hitchcock; Framing Pictures: Film and the Visual Arts; and The Dark Galleries: A Museum Guide to Painted Portraits in Film Noir. He teaches at Ghent University and the University of Antwerp. 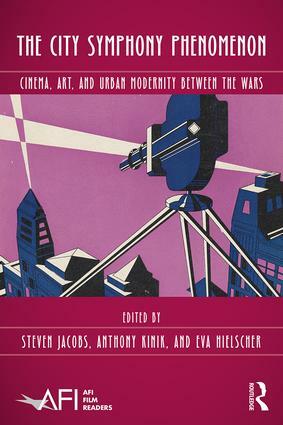 Anthony Kinik’s work spans documentary, experimental, avant-garde, and industrial practices, and his principal focus in recent years has been on the cinematic depiction of the urban environment, including the city symphonies cycle of the interwar period and Montreal as a “cinematic city” in the 1960s. He is an Assistant Professor of Film Studies with the Department of Communication, Popular Culture and Film at Brock University in St. Catherines, Ontario. Eva Hielscher is a film scholar, curator, and moving image archivist. She holds an MA degree in “Preservation and Presentation of the Moving Image” from the University of Amsterdam and has worked as a PhD researcher at Ghent University.